What happens when there's no Vicar? 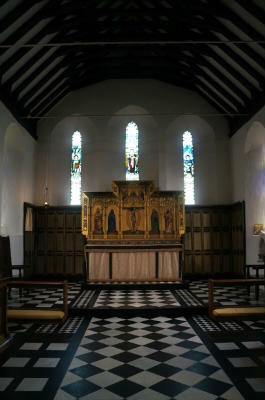 Holy Trinity Parish Room for hire! Holy Trinity Church in Bramley and St Andrew's Church in Grafham are our two beautiful historic churches. 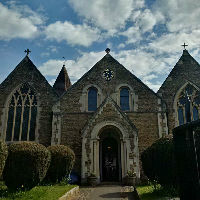 We are a United Benefice of two churches in two neighbouring parishes within the Diocese of Guildford in the Church of England. Holy Trinity Church is set in the heart of Bramley village. 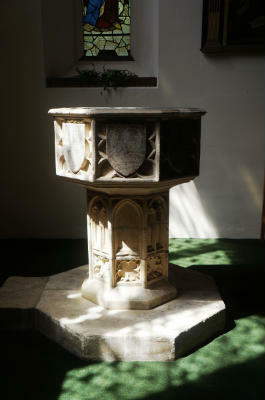 At 8am each Sunday our worship is a quiet and traditional Book of Common Prayer service of Holy Communion. 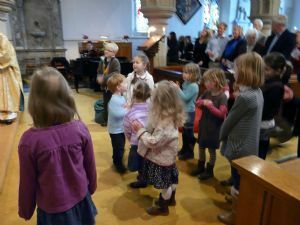 At our 9.45 sung Communion service adults and children worship together. Children (under supervision) are welcome to go to the Children's Chapel during services if they want to, and play with the toys and books there. A service of Holy Communion is held on the first Wednesday of every month at 10.30am in Blunden Court (next to Bramley Library). Holy Trinity is open 7 days a week for personal prayer and reflection.